After the most successful stretch in franchise history, the Raptors set fire to everything this summer, undergoing a dramatic rebuild that reminds everyone that the NBA isn’t a family—it’s a business. There was a simpler time when the Raptors were the NBA’s lovable upstart. DeMar DeRozan and Kyle Lowry were the NBA’s J.D. and Turk. Dwane Casey was the subject of an uplifting SI profile. And Masai Ujiri was yelling “F--- Brooklyn!” to a crowd of rabid Canadians. But that all came crashing down Wednesday, as the Raptors traded DeRozan to the Spurs for Kawhi Leonard. The deal makes obvious sense from a basketball perspective, but damn, the Raptors are really on some evil empire stuff of late. All right, so that was all ultimately pretty harmless. Casey ended up with the Pistons, and a lot of people call Detroit the Toronto of Michigan. And what does a tweet really matter in the grand scheme anyway? The Raptors were doing a good job of flying under the radar after the Casey firing until the Leonard trade. I actually think Toronto did a great job in that transaction, except for one small issue: Somebody may have lied straight to DeMar DeRozan’s face! What’s that about?! That’s like those same kids privately assuring their dad they would choose him in the divorce, only to very publicly decide to live with their mom instead. DeRozan may never be the superstar that lifts a team to a title. But he’s a huge reason why the Raptors have had their most successful stretch in franchise history over the last five years. I’m not saying he shouldn’t have been traded. (Seriously, this was a great trade for Toronto. There’s no way you could pull this off in 2K without the trade override.) But maybe the Raptors, especially if their future somewhat depends on keeping a star, should have been more upfront with arguably their most prominent player. As someone who writes about the NBA in between tweets about my love life, I respect the Raptors for all of this. Masai Ujiri is basically inviting a target on his back. 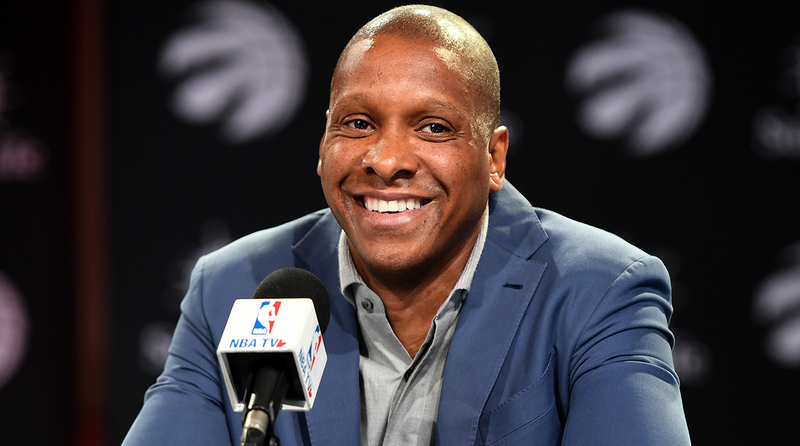 He’s built this team in his vision, guiding the franchise from Casey’s steady leadership and the DeRozan-Lowry partnership to an organization that’s willing to swing for the fences. I love it. Ujiri isn’t content being a feel-good story. Even if the Raptors don’t get enough credit for being very, very good the last few years, it makes complete sense for them to be ruthless in how they operate. The Raptors aren‘t suddenly bad people, even if Casey and DeRozan may feel otherwise in a deeply honest moment. They are an NBA business now, though. Toronto has spent this offseason making power moves, and the result is what will almost definitely be the most interesting team in franchise history. At the very least, no matter what they tell their players or who they support publicly, we know the Raptors won’t be afraid to make more drastic moves as the season continues.